What is a weed? 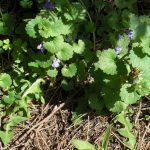 Up first in our “plants that we may consider weeds” blog series, we’ll talk about two “winter weeds.” Winter weeds germinate in autumn and winter, grow through spring, set seed, and typically die back as warm weather sets in. 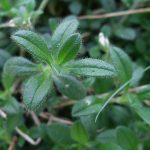 If you look at your lawn and garden now, you may find these plants! 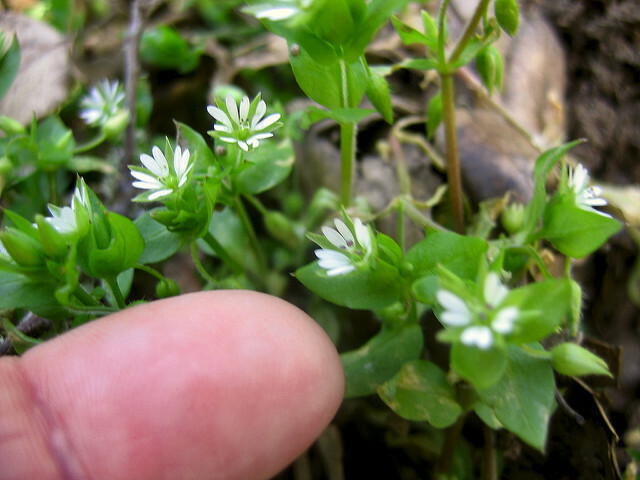 Look for two plants called chickweed—common chickweed (Stellaria Media) and mouse-ear chickweed (Cerastium vulgatum). 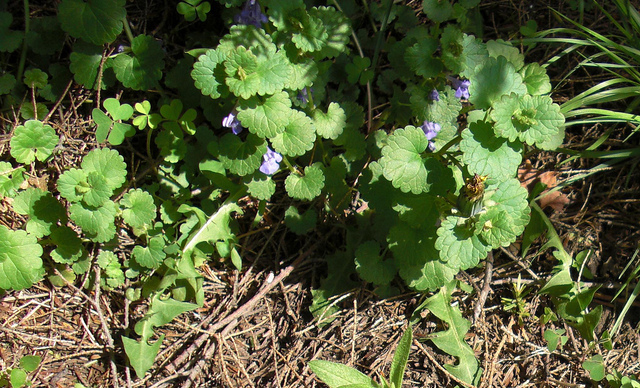 Both are low-spreading plants that often root at the nodes to form dense mats. 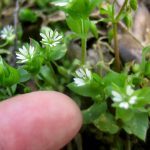 Soft hairs cover dark or grayish-green mouse-ear chickweed leaves, which is a perennial in Western North Carolina. 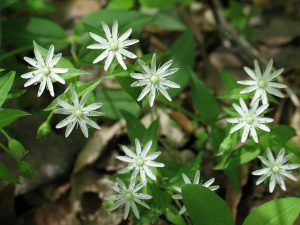 With less hairy, lighter-green leaves, common chickweed—an annual—produces white, star-shaped flowers. Henbit (Lamium amplexicaule), in the mint family, has opposite leaves on square stems. 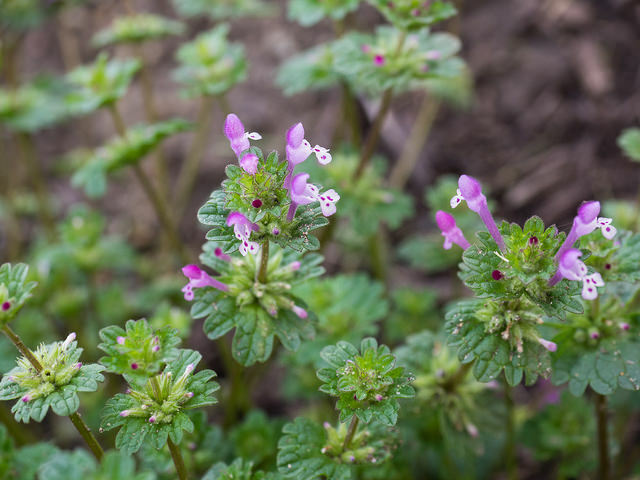 It grows as an annual or biennial with pinkish-purple flowers. 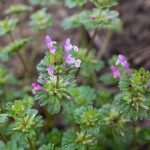 Henbit and the chickweeds easily survive mowing. They readily invade bare patches in the lawn. Shade and frequent watering also encourage their growth. 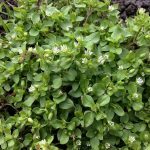 All are considered edible plants—some gardeners add them to salads if they don’t use herbicides or pesticides on their landscapes. 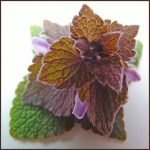 Never eat a plant you cannot positively identify! 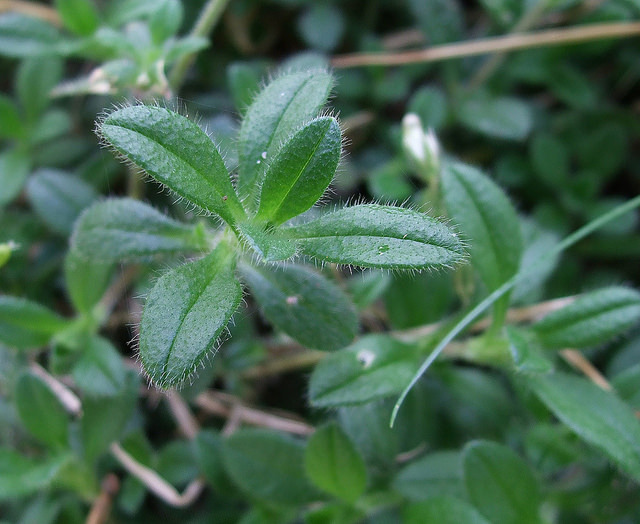 If you don’t want these plants in your lawn, maintaining dense, healthy turf is your first defense. If you do find them, digging them out is the preferred control method. Apply pre-emergent in late summer to prevent fall germination. When these plants are actively growing, call your Extension office or check the current North Carolina Chemical Manual for approved herbicides. Star chickweed: pretty native plant with half-inch white flowers in spring, 3-inch leaves, and 6 to 16 inches tall. 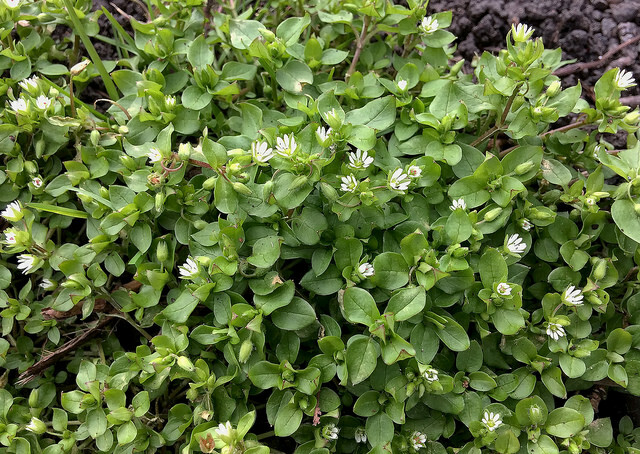 Star or great chickweed (Stellaria pubera) is a desirable perennial native plant with white flowers in spring that deserves to stay if you find it in your landscape!